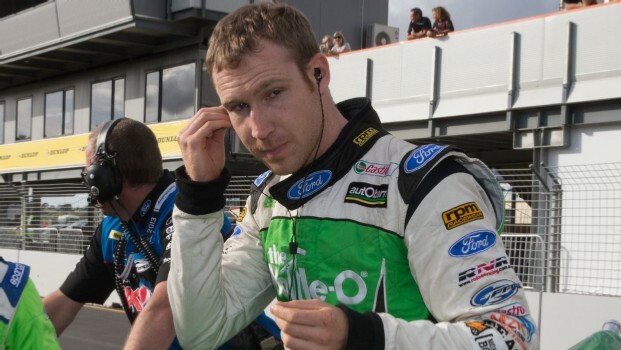 Running a disappointing 18th in the V8 SupercarsChampionship heading to the Chill Perth 360, Ford factory driver David Reynoldsis hoping for a performance boost at a circuit where he put in one of his firststarring performances in the category. In his rookie season driving for Walkinshaw Racing in 2009, Reynoldswas on-track for a podium finish in the Saturday race at Barbagallo until disasterstruck. “I was second with about four laps to go then the frontwheel fell off,” he recalled this week. Heading back to WA, the 27-year old is looking to put thewheels back on his 2013 championship attack in the FPR Bottle-O Ford Falcon FG. Improving his qualifying will be step one, then managingtyre wear on one of the most abrasive surfaces in the championship will be steptwo. “Last year I qualified really well and I thought this year Iwould be on for a good showing because in the short races it’s all about whereyou qualify,” he told v8supercars.com.au. The Chill Perth 360 will be the third sprint-only event forthe V8 Supercars in a row, following on from the Tasmania Microsoft Office 360 atSymmons Plains and the ITM 400 Auckland at Pukekohe. The WA event will compromise the new 60/60 Super Sprintqualifying and race format on Saturday, followed by two 100km races on Sunday.All racing will be on soft tyres. “I like Barbagallo but it’s difficult. It’s got huge tyre degradation,almost 0.15 sec per lap, which is massive,” Reynolds said. “So the drivingstyle you have has to be different, you can’t be as aggressive with the carand you have to set the car up correctly or it just burns the tyres up. “It can make for pretty interesting racing; cars thathaven’t qualified as well that look after their tyres well versus cars thathave qualified really strongly that don’t look after tyres well. There will be afew races going on there. Reynolds believes his struggle to find ultimate qualifyingpace is down to learning about the new Car of the Future Falcon with his newengineer, Nathaniel ‘Ozzie’ Osborne. The two teamed up from the Eastern Creek pre-season test,after Reynolds’ engineer from the previous two seasons (one at FPR and one atKelly Racing, now Nissan Motorsport), James Small, was swapped to Mark Winterbottom. 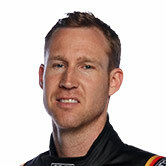 Reynolds endorsed the comments of teammates Winterbottomand Championship leader and sole Ford race winner Will Davison about lackingengine power compared to their Holden rivals. Upgrades could start flowingthrough as soon as the Austin 400 in Texas later in May. One issue for Reynolds is parity. Despite V8 Supercars Commission Chairman Mark Skaife declaring it too early for performanceadjustments, he believes the Commodores have an advantage.